Oral & Maxillofacial Associates of Oklahoma offers corrective jaw surgery in Oklahoma City, Norman, Midwest City, and Edmond, OK. To schedule an appointment call 405-848-7994 (Oklahoma City), 405-292-8900 (Norman), 405-733-4296 (Midwest City), or 405-341-4022 (Edmond). Corrective jaw surgery, or orthognathic surgery, can correct a wide range of minor and major skeletal and dental irregularities, including the misalignment of jaws and teeth. It can dramatically improve chewing, speaking, and even breathing. While the patient’s appearance may be enhanced by the surgery, the focus in on functional issues rather than aesthetics. At Oral & Maxillofacial Associates of Oklahoma, we have 25 years of experience and a team of board-certified oral and maxillofacial surgeons. We work closely with each patient’s dentist and orthodontist to provide the best possible collaborative treatment, and we assign two oral surgeons to each case. When Is Corrective Jaw Surgery Needed? Orthodontics can generally correct bite issues that involve misalignment of the teeth. However, corrective jaw surgery may be needed if the misalignment is in the jaws. We will work as a team with your dentist and your orthodontist to determine whether you are a candidate for surgery. In most cases, orthodontic devices are needed before and after surgery. Therefore, the entire treatment time could last for several years. We understand that this is a huge commitment for you and your family, and we will do our best to provide a realistic estimate of the time and investment required for treatment. 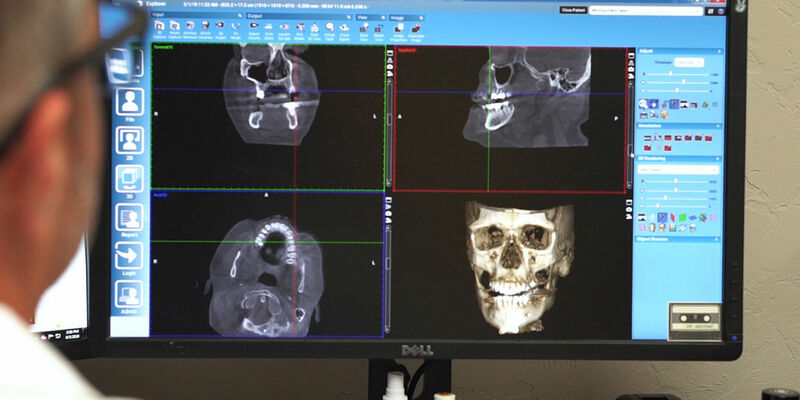 We believe that patient education is vital, so we will use comprehensive facial x-rays and 3-D computer models to show you how we will approach your treatment and what you can expect. We encourage you to ask detailed questions and to let us know if you are unhappy with any of our suggestions. Although every patient is unique, there are typically several steps involved. Before surgery, your orthodontist will likely place braces to move your teeth into a position that will fit together properly after your surgery. At this point, it might seem that your bite is getting worse instead of better, but it will be worth it when your teeth are properly aligned after your surgery. Near the end of your pre-surgical orthodontics, we will take new x-rays, pictures, and models of your teeth and jaws. This helps us to precisely plan out your surgery. Depending on the specific surgery you will have, it may take place in our office, at an ambulatory surgical center, or even in the hospital. Surgery may take one hour or several hours to complete. The goal of surgery is to reposition your jawbones to fit your specific needs. This may include adding, removing, or reshaping bone. We may use surgical plates, wires, screws, and even rubber bands to hold your jaws in place. We make incisions inside the mouth whenever possible to minimize scarring, but in some cases, we may need to make small incisions outside the mouth as well. We will do our best to minimize the appearance of these cuts. After surgery, we will provide you with a modified diet and a schedule for transitioning to a normal diet. You are encouraged not to smoke, and you may need to avoid strenuous activity for several weeks. The initial healing phase lasts approximately six weeks, while full healing could take as long as a year. You will receive prescription pain medications, which you should take as directed. Most people return to work or school within one to three weeks, depending on the complexity of the surgery and how they feel.